color of the month minis! Green and white what a sight! Fab tray holds snazzy green white and gold cocktail glasses. 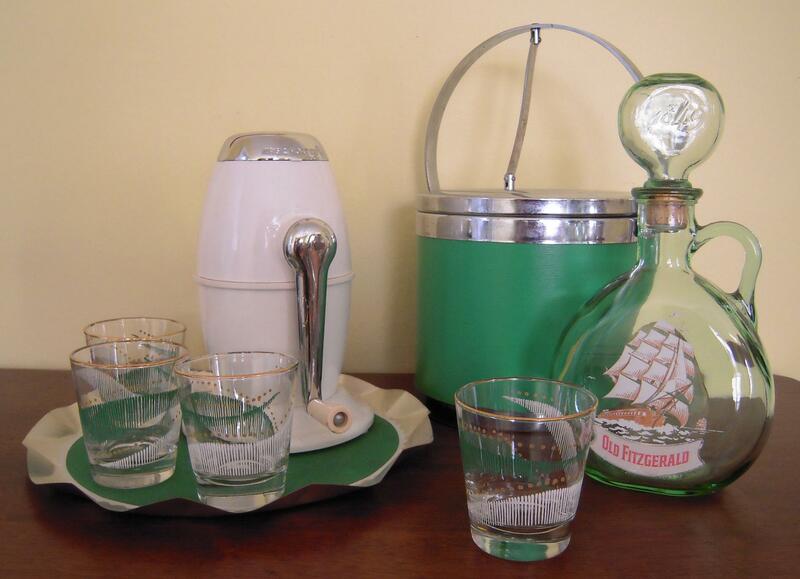 The ice-o-matic crusher is perfect for fillin the handy ice bucket and the liquor decantor is just perfect for completing the look! Since I have been so busy this month I am knockin out a couple of projects here with color of the month minis! These glasses are so kitschy cool they're hot! The venus salt and p's are a scream and the bulldog planter adorable! Serve up some quests with bold style! I'm super tempted to keep these amazing 50s leaf glasses for myself! 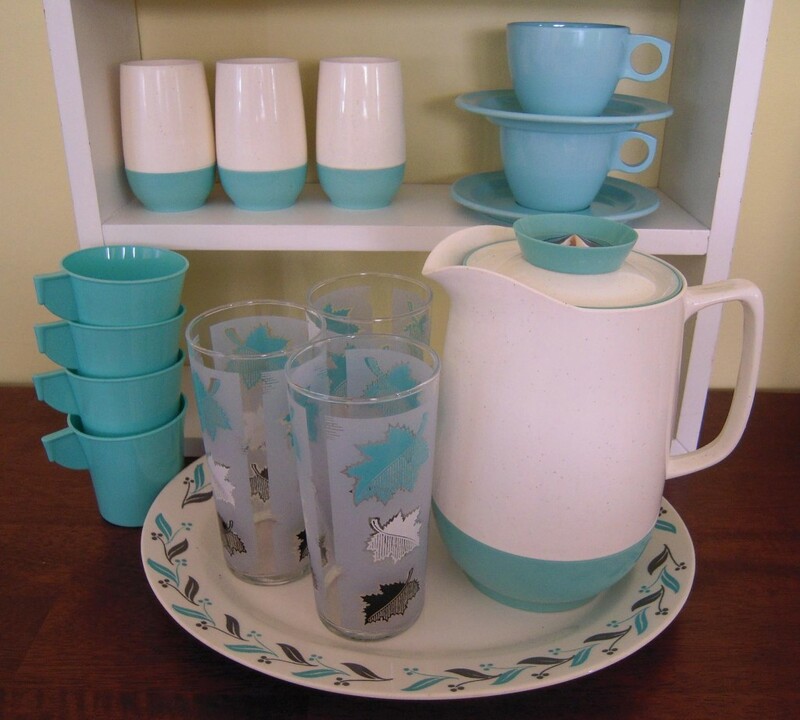 The Homer Laughlin platter is simple and elegant and the array of plastic cups are perfect for pouring into with the atomic thermal pitcher! The past couple weeks have been so busy with travel and such! 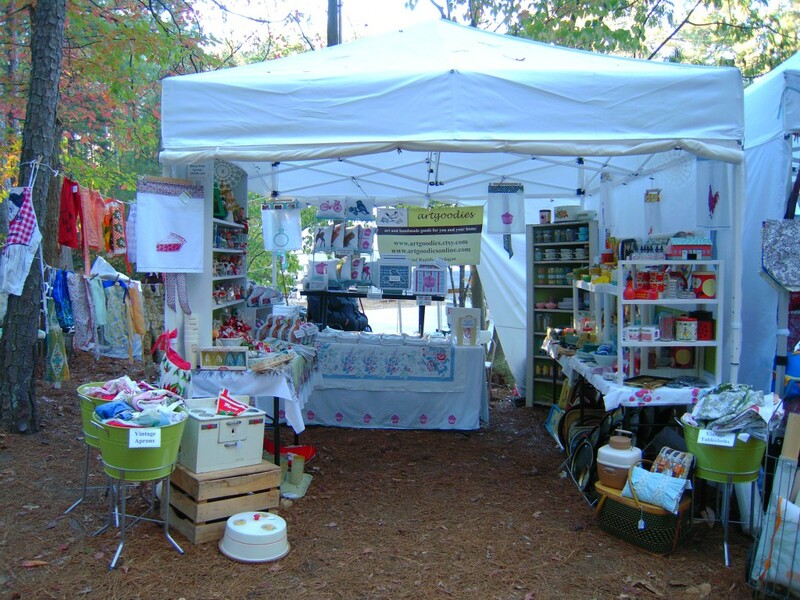 Vintagegoodies and artgoodies headed South to the Country Living Fair in Stone Mountain, GA this past weekend. The weather was fantastic and location couldn’t have been more beautiful nestled among the pines! Plus I spent some time with family in Southern Indiana on the way back and even had a chance to dig up some great vintage around those parts! 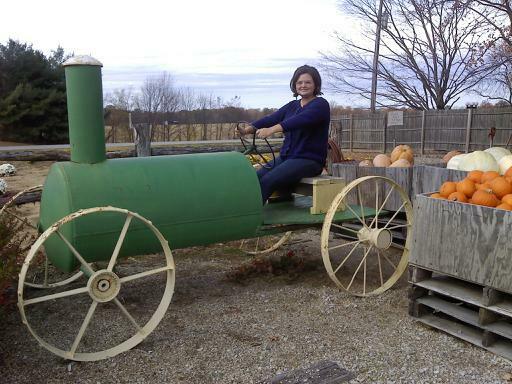 This adorable fake tractor at a roadside stand was a fun photo op in Southern Indiana! This place had great pumpkins and gourds and the most amazing mums I have ever seen with solid color blooms from end to end! Here's an early morning shot of my booth on the first day. All stocked up with artgoodies product, vintage housewares, tablecloths, and aprons. Plus a tree lended itself to a mini clothesline! 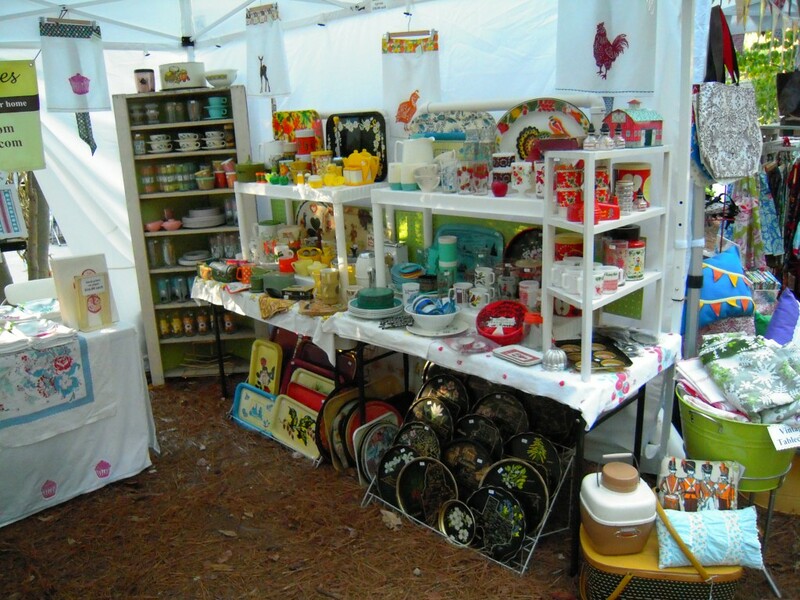 Loads of colorful vintage kitchen goodness, a few artgoodies aprons, and of course more trays! Well you saw the sneak peak last post and here it is again at the show. 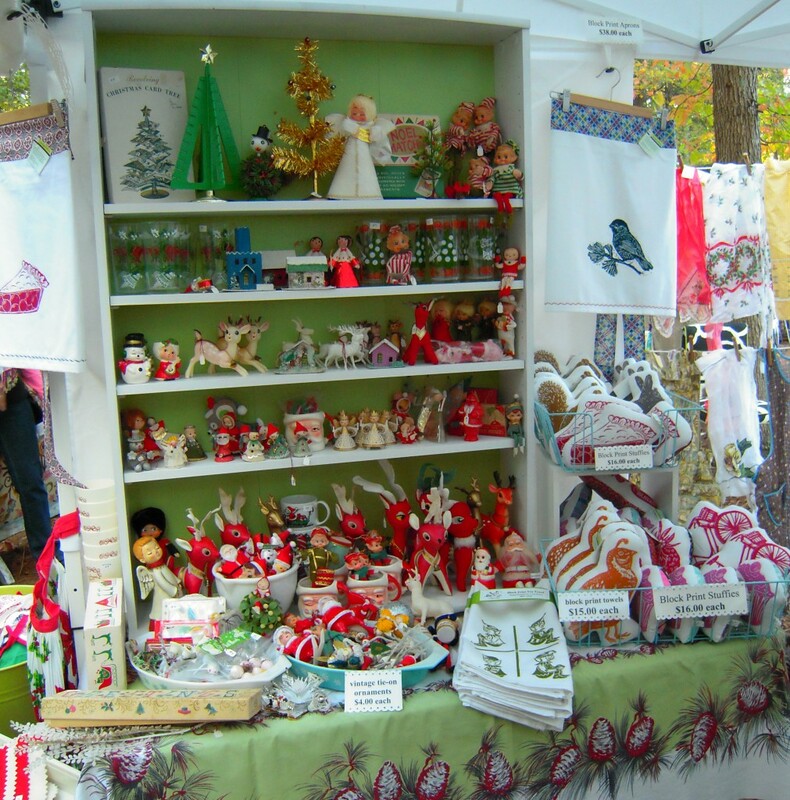 I sold tons of great vintage holiday! I'll continue to be on the lookout for more and check out my vintage shop vintagegoodies.etsy.com for holiday listings soon! 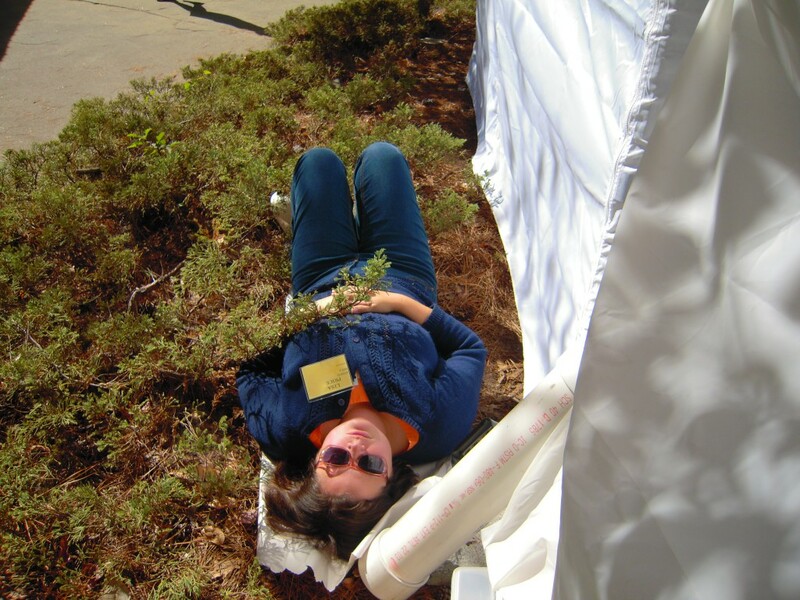 What can I say, sometimes you get food poisoning or the flu and get sick on the road and you have to make a bed out of a big piece of paper and sleep in the bushes behind a tent for awhile. 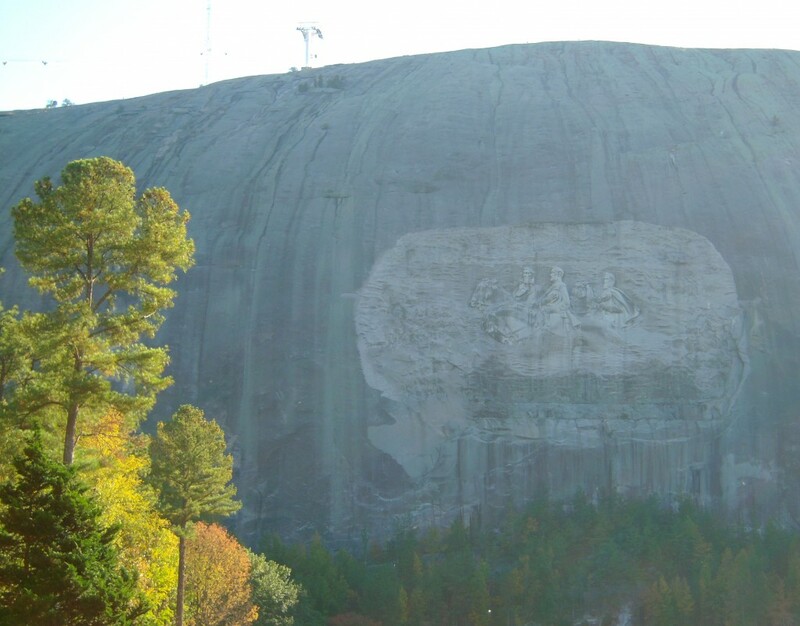 Stone Mountain was gorgeous and although busy busy with the show we took a little drive around. 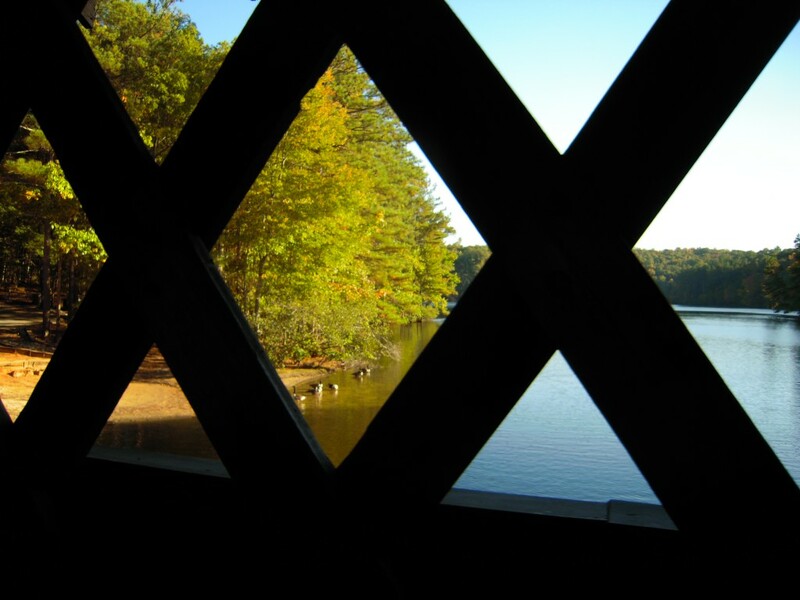 Here is a lovely shot through the covered bridge. Hopefully next year we will have more time to check out the park. I'd love to ride the cable car to the top of the mountain, but we did at least get to see the giant carving and take a little walk. 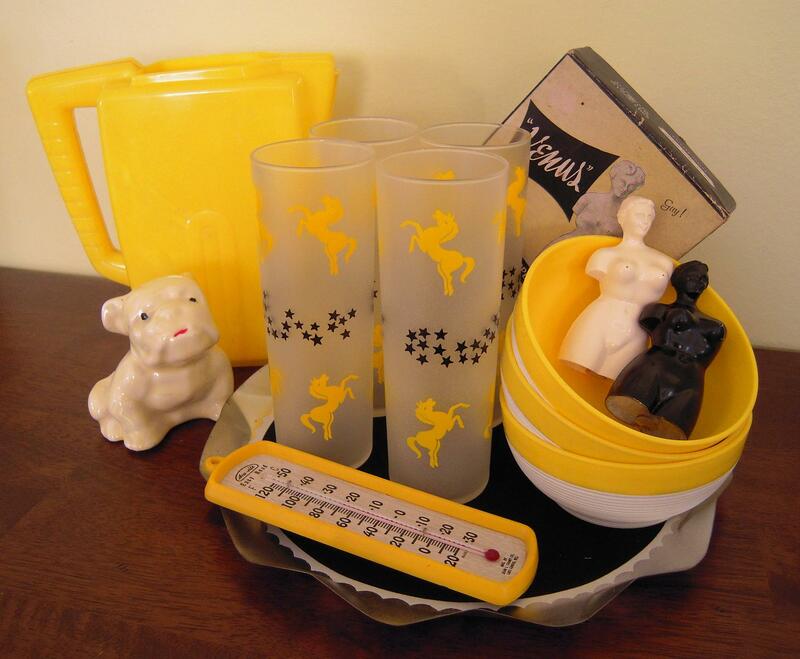 I’ve got oodles of artgoodies about ready to go and the vintage housewares are all packed up. And now I’m working on something very special for all my customers! A vintage holiday extravaganza! I’ve been stocking up all year long and then some! 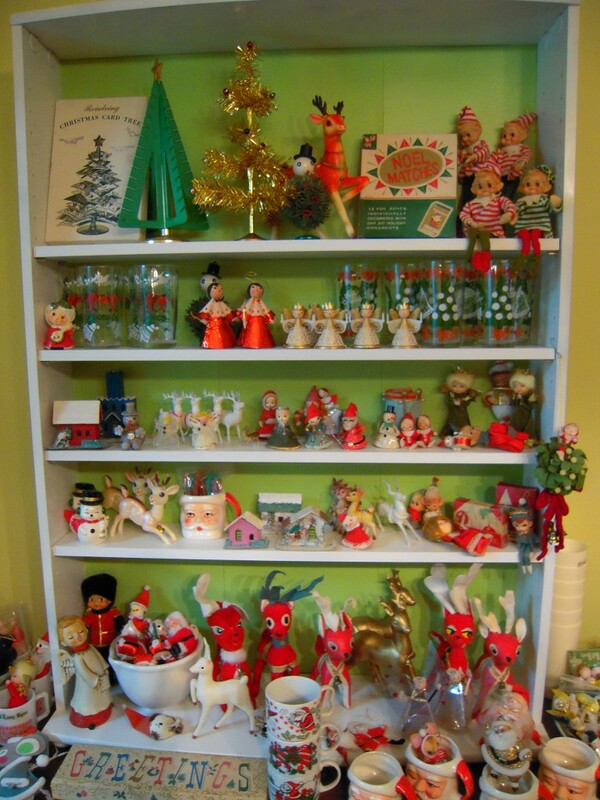 I have plenty of fantastic vintage Christmas goodies for you! Be sure to make a beeline for my booth so you don’t miss out on the best selection! Check out the show in Atlanta’s Stone Mountain Park Oct 22-24th!!! Ornaments, reindeer, and glassware oh my! Holiday aprons, ties ons, and a couple of pieces from my own personal collection too! The search is over! The living room gets revived! 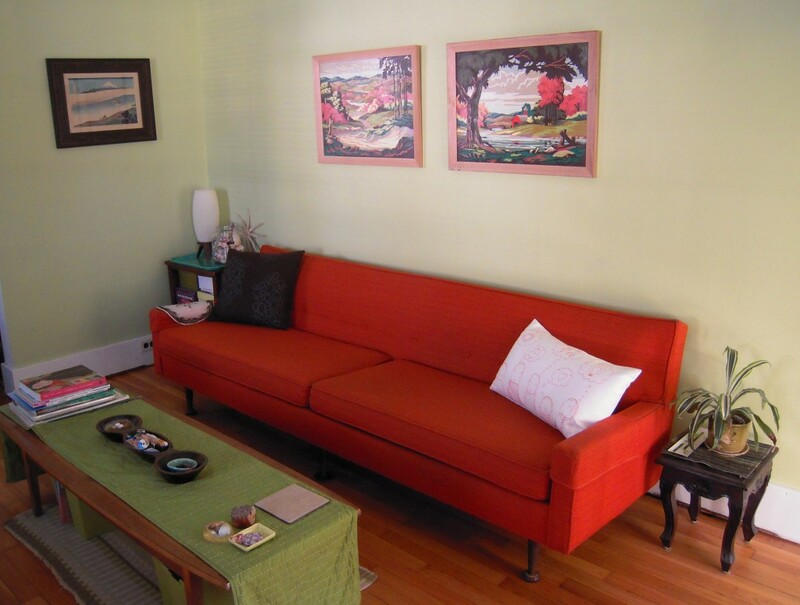 I've been looking for an affordable mid century sofa for SO-o-o-o long. Finally, yesterday I ran into this beauty! It's in amazing amazing condition, comfortable and boasts 90" of awesome vintage goodness! Plus I love how it pulls the color from the paint by numbers! 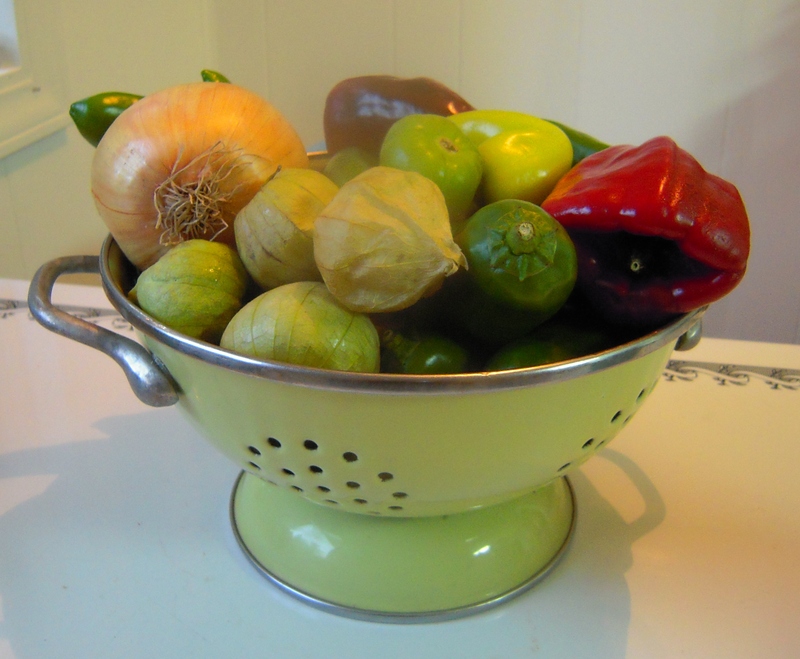 Time for my tomato-less salsa again! 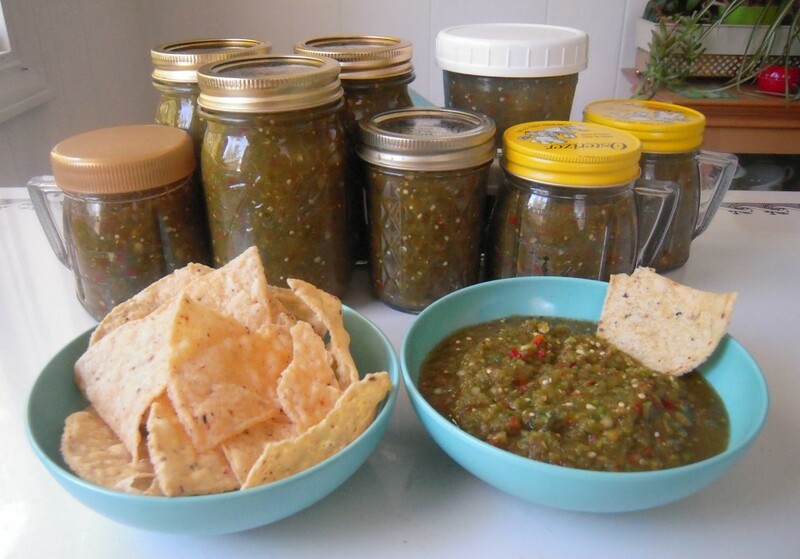 I almost missed the tomatillos at the market, but thank goodness I could gather up all the fresh peppers to make a much larger batch than last year! Take this, multiply by about 4, add some lime, some salt, and some cilantro, whirl it up in a food processor and see below! Voila! Salsa! Perfect for a snack, for cooking with rice, in chili, etc. Off to the fridge they go so the flavor can meld together before I put small batches in the freezer! It's a little spicier this year but I'm sure I'll be really happy about it on a cold winter's day!